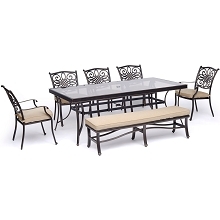 Treat your family to a new dining experience with the Manor 7-Piece Dining Set by Hanover Outdoor. 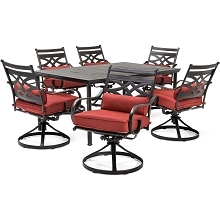 This set includes one large dining table and six swivel rockers. 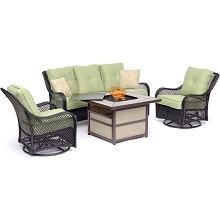 Both sophisticated and refined, this set offers the perfect accommodation while you’re entertaining your guests outdoors. 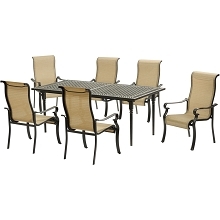 The chairs feature tall, sling-back seats that provide upper and lower back support as you dine in comfort and style. 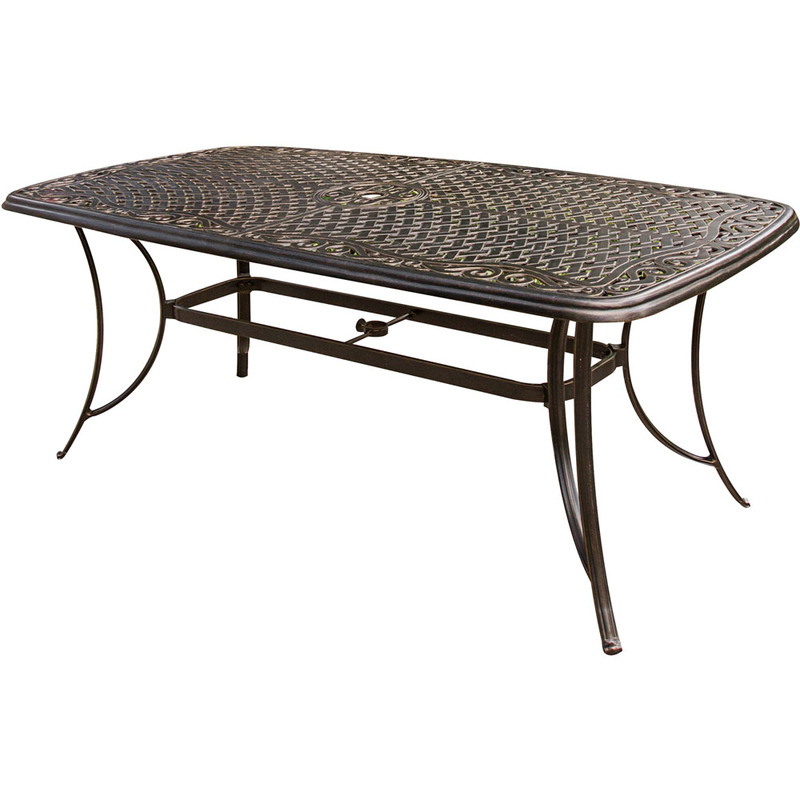 The aluminum frames are polished with a protective bronze coating that highlights the cast-accents that scroll across the top of the table and chairs. 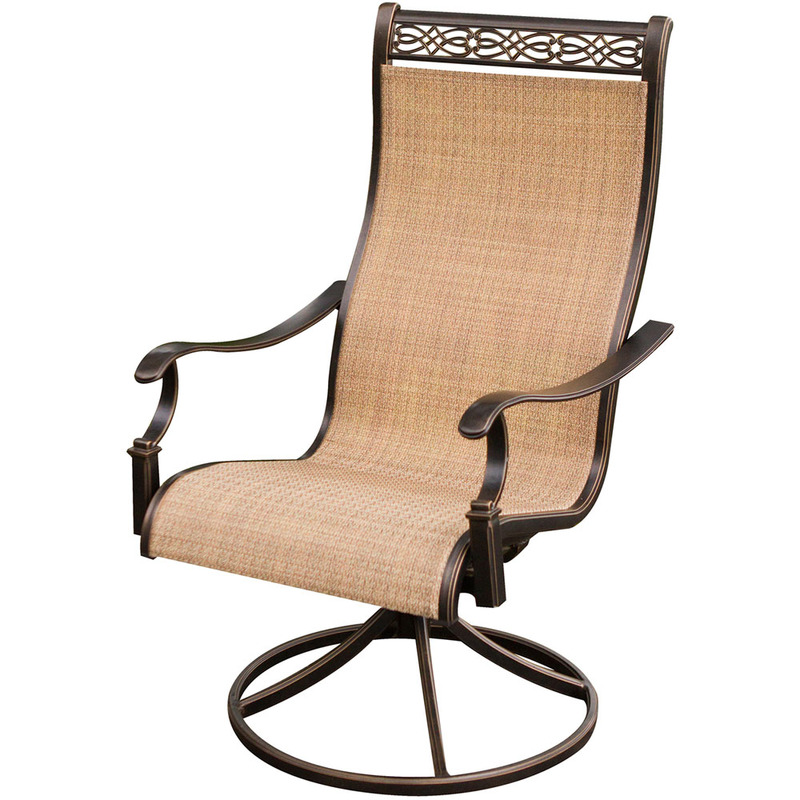 Each swivel chair performs a smooth, 360-degree spin rocking motion. 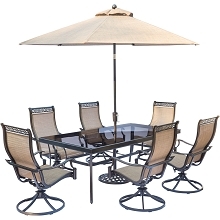 Designed for many years of enjoyment, this outdoor set will provide a natural alternative to dining indoors and will provide your guests with the best accommodations under the sun.